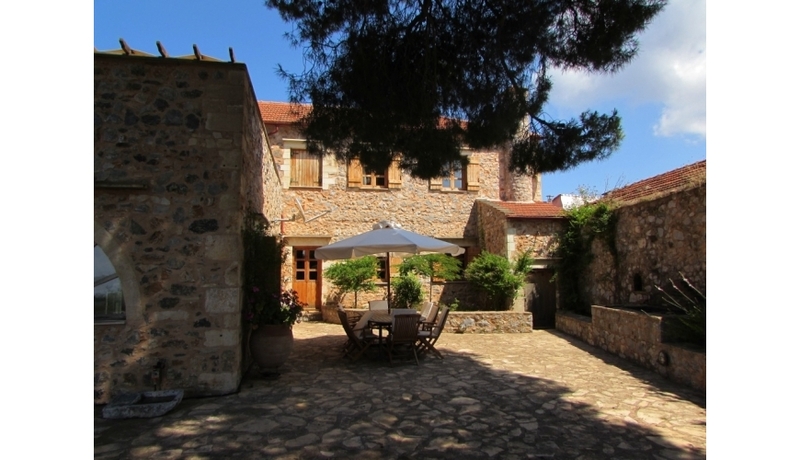 This beautifully renovated property sits in the heart of the lovely village of Kefalas. 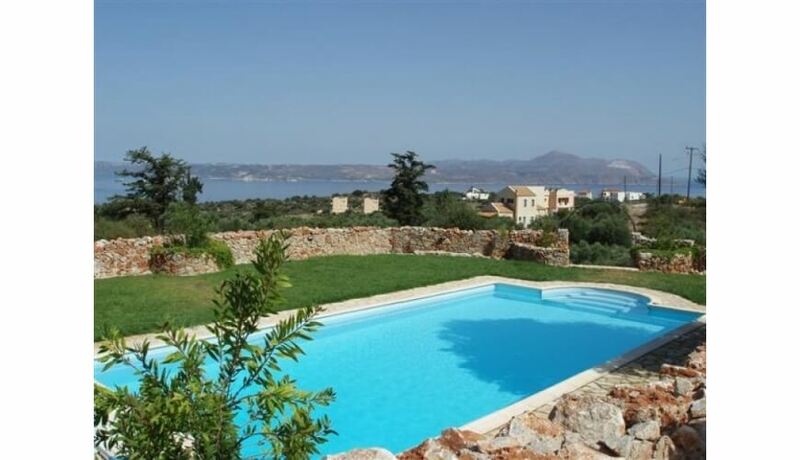 Close to the nearby cafes, tavernas and shops this villa is also just a short drive from the local beaches at Almyrida, Kalyves and Giorgoupolis. The original building, which is over 200 years old, was renovated with great care and attention to detail by the current owners. 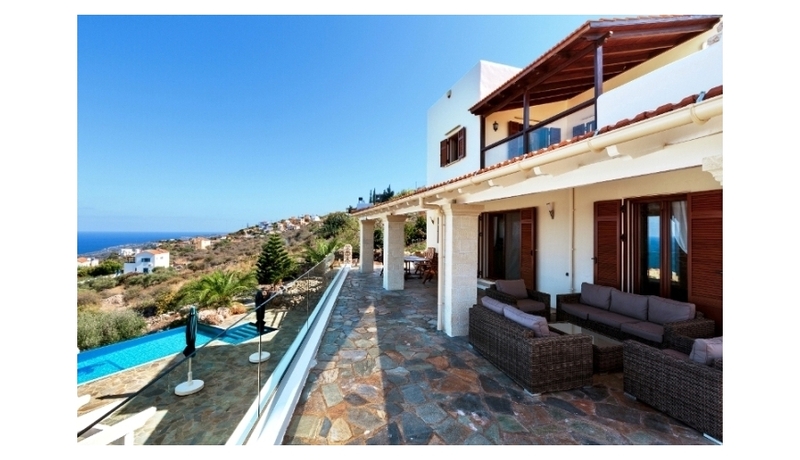 The villa still retains all its original charm and traditional features whilst now offering all modern amenities for both full time living and holidays. 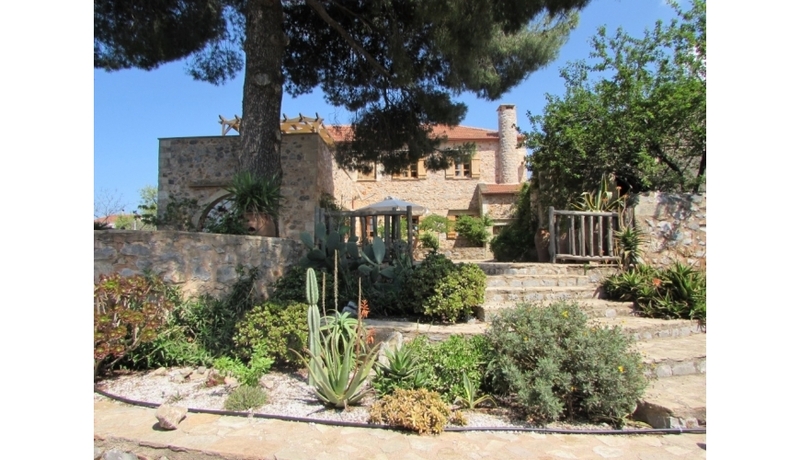 The Gardens have been very well landscaped and have a wide variety of mature plants, flowers and trees including Olive, Apricot, Fig and Citrus. There are spacious courtyards for outdoor dining and many lovely, shaded seating areas. 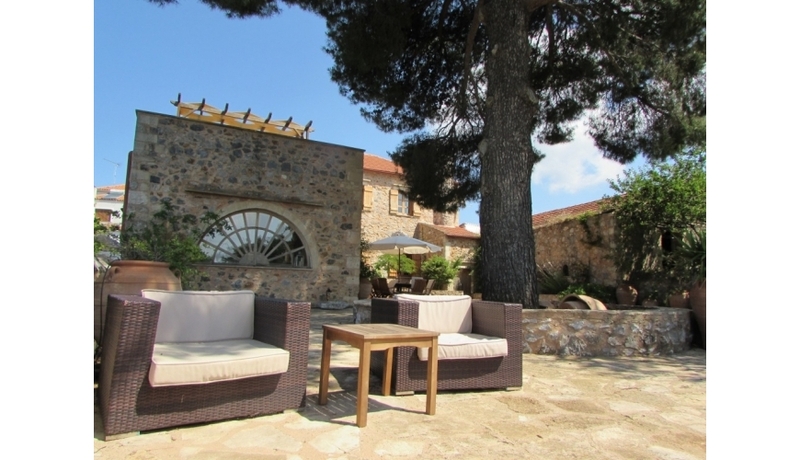 The large private pool is surrounded by stone terrace areas for soaking up the sun. There are also external storage areas including a boiler room. The front gated entrance and courtyard offers plenty of parking space. Inside the villa there are traditional features such as wood beamed ceilings, stone archways and wood and stone floors throughout. The main living area is a large, light filled room with wood beamed ceiling, wood floors and a feature fireplace. 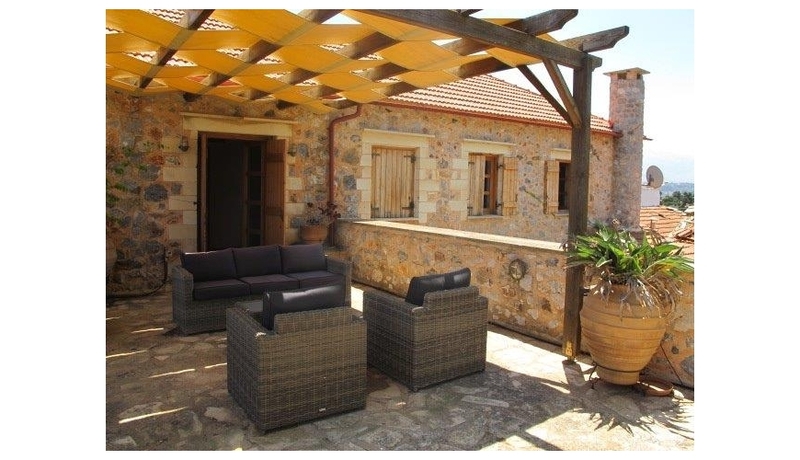 The villa offers an extremely spacious kitchen and dining area with stone floor and wooden ceiling. The fully fitted kitchen has high quality built in appliances. 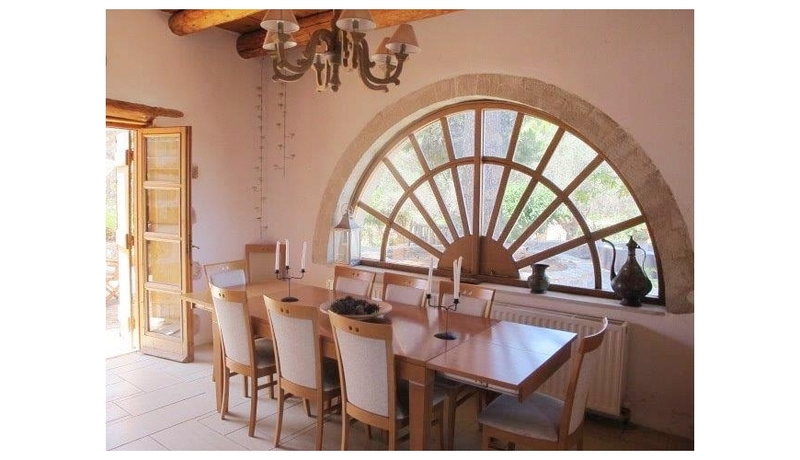 The dining area has a feature arched window and patio doors leading to the courtyard areas. Also on the lower floor is the first double bedroom which has an additional mezzanine sleeping area and sloping wood ceiling. The 2nd double bedroom on this floor is also spacious with wooden ceiling and patio doors to the front courtyard. 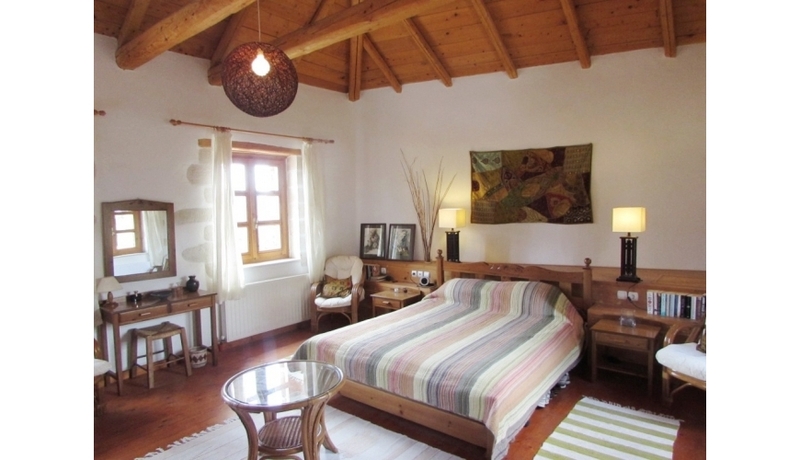 On the upper floor, the hallway leads to another double bedroom and bathroom with full bath. There is also plenty of additional storage space here. 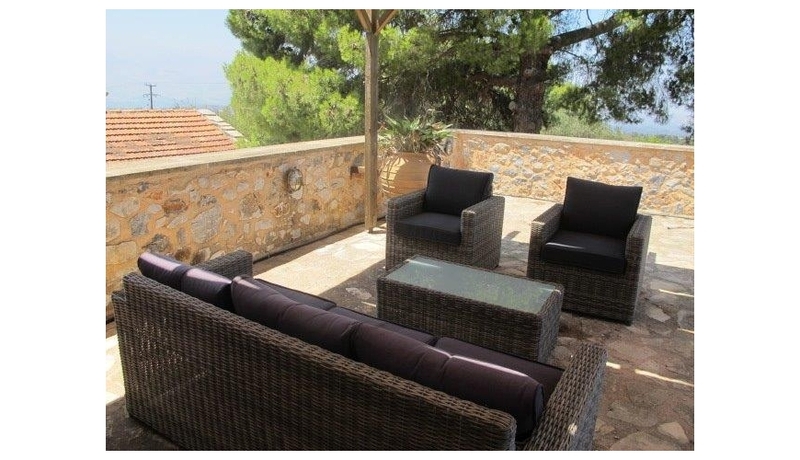 Patio doors lead from here to the large upper terrace which has views across to the sea at Souda bay. There is a pretty seating area with a covered pergola from which to enjoy the tranquility and views. Fully fitted kitchen with appliances including . gas hob,dishwasher, washing machine and Corian Sink. Furniture Items by Separate Negotiation. What does 4 times 4 result in?